We can probably all picture that iconic moment in National Lampoon’s Christmas Vacation when Clark Griswold is struggling to figure out why his outside Christmas lights won’t work. 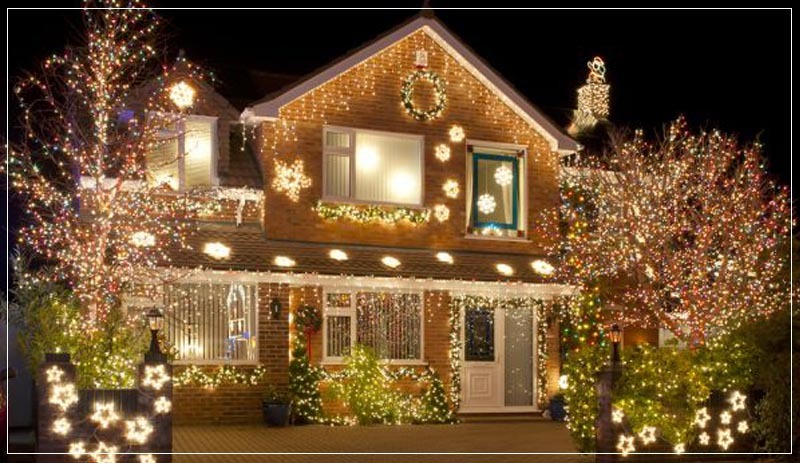 Now, by our count, there are approximately 72 electrical safety violations he’s committing that could account for his problems, but for now we’ll overlook the overloaded outlets and the miles of interconnected extension cords and focus on one thing that’s missing from his holiday lighting array. It’s something that could keep the whole Griswold family safe: a GFCI outlet. 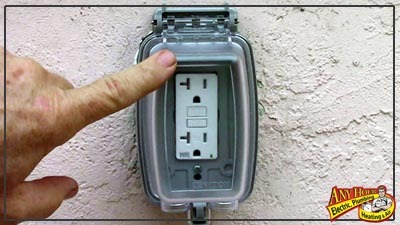 GFCI outlets, or ground-fault circuit interrupters, can be recognized by the two buttons they have between the outlets: one that says “TEST” and one that says “RESET.” These outlets are designed to cut power to a circuit if it detects, in as quickly as one-thirtieth of a second, any change in power flow through the circuit, however subtle. GFCIs are generally installed in locations where water might be present, like bathrooms, kitchens, and outdoors. Since water is an excellent electrical conductor, if a person comes into contact with water and electricity, the results could be fatal. Therefore, GFCIs are lifesaving devices that prevent against electrical shock. So, let’s go back to Clark Griswold and his holiday lighting fiasco. As he’s installing his lights and trying to get them working, there is snow all over the ground. We also know that there’s ice present, as evidenced by the ice rocket Clark accidentally sends shooting through his neighbor’s window when he falls as he’s stapling his lights to the roof. All of this water—frozen or otherwise—means that he should definitely have his circuits GFCI protected. 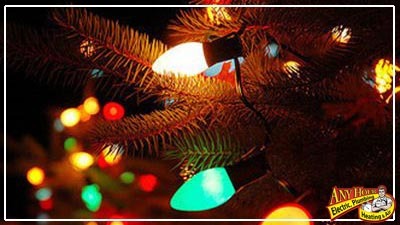 So, to keep your family safe this winter, make sure that your outdoor circuits are GFCI protected as you install your Christmas lights. No one wants a National Lampoon-style catastrophe to disrupt their holiday cheer! If you have questions or would like a certified electrician to look at your outdoor circuits, call Any Hour Services and we’d be happy to help.